The vice president cut short his visit to Hyderabad and reached here to hold deliberations over the notice given by the seven opposition parties. Rajya Sabha Chairman M Venkaiah Naidu on Sunday set in motion the process of consultation on the impeachment notice against Chief Justice of India Dipak Misra and held discussions with a number of constitutional and legal experts, including Attorney General K K Venugopal, and former top law officer K Parasaran. 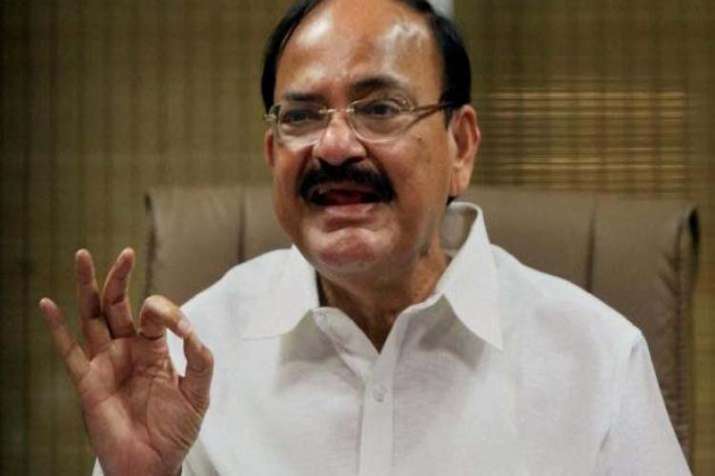 According to officials, Naidu spoke to former Lok Sabha secretary general Subhash Kashyap, ex-law secretary P K Malhotra and former legislative secretary Sanjay Singh on the issue. He also held deliberations with senior officials of the Rajya Sabha Secretariat, they said, adding that Naidu also spoke to former Supreme Court judge B Sudarshan Reddy. The officials said the vice president also spoke to the attorney general on the issue. They also said Naidu continued with the deliberations till late in the evening and also spoke to K Parasaran, who was the attorney general during the Congress governments led by Indira Gandhi and Rajiv Gandhi and was also a member to the Upper House nominated by the party. Leaders of the opposition parties had on Friday met Naidu and handed over the notice of impeachment against the chief justice of India (CJI) bearing signatures of 64 MPs and seven former members, who recently retired. The opposition parties, led by the Congress, initiated the unprecedented step to impeach the CJI by moving the notice levelling charges against him. The parties had briefed the media after handing over the notice to the Upper House chairman. While reviewing the notice, the Rajya Sabha officials had mentioned that making public the contents of a notice before it is admitted by the chair is in violation of parliamentary rules. The move to propose impeachment notice against the CJI has led to a slugfest between the Congress and the BJP. Meanwhile, the Congress said that the CJI should considering recusing himself from judicial and administrative duties until his name is cleared. The BJP has said the Congress was trying to demean, degrade and denigrate the judiciary by moving the notice.